Ever been at wit’s end to find that perfect gift for those friends and relatives who are particularly hard to shop for. Not to mention the graduations, Father’s and Mother’s Day, countless birthdays and various other gift-giving holidays throughout the rest of the year. Well, why not make your life a lot easier by giving the person who has everything a one-of-a-kind custom framed treasure? Have no idea what to frame? Just put your mind to it! Wouldn’t Mom just adore a creatively framed picture of her grandchildren? Or what about that limited edition print she’s had her eye on? And don’t confine yourself to something you picked up at your local mall either. Take Uncle Ed for instance. He’d be delighted if the military awards and metals he’s so proud of were framed so he could easily show them off to his friends. Or, what about your great-great grandmother’s cherished broach? The one your sister has always admired. A special letter, poem or card are also perfect for framing. As are a child’s finger-painting or drawing and a wedding invitation or bouquet. The possibilities are limited only by your imagination! 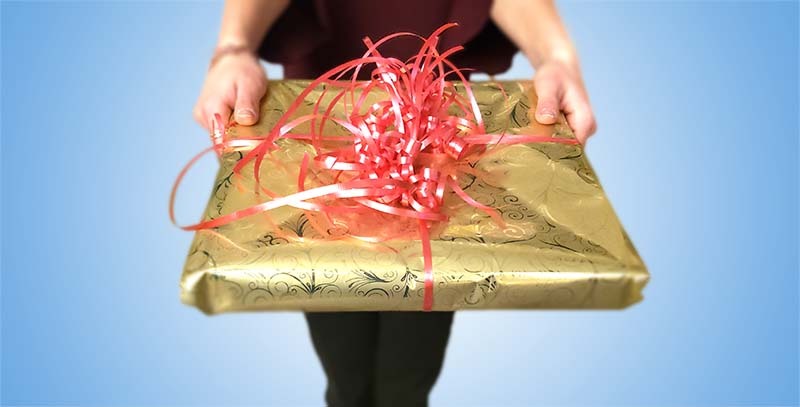 And what’s more, these personal items get to the heart of what gift giving is all about. They are personal, heartfelt, meaningful and can last a lifetime. Be creative! Even that item you don’t think can be framed, probably can. Just drop by and see us. Whether you have a design idea in mind or not, we can surely point you in the right direction. And if you wrack your brain and you still can’t think of anything to frame for that special someone (or you just can’t get your hands on it), why not give that person a custom framing gift certificate? This allows them to choose exactly what is framed and how. It’s a safe bet that someone (or two) in your life would love a custom framed piece for any special occasion. 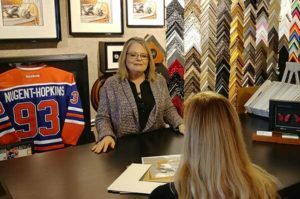 Whether it’s a photograph or priceless treasure, there are countless framing methods and design ideas available at Picture This. We can custom frame your treasures using unique designs and subtle colors and shades to achieve just the right look. Whether contemporary, modern or antique, we have the right design for you. Bring in what you would like framed and we will assist you through the entire process, give you a free quote and only proceed on your approval. So, stop by and take a look at all the possibilities. You’re sure to be inspired! 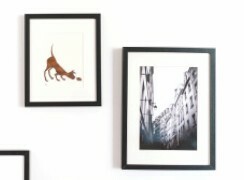 Check out our picture framing page for more creative ideas. Looking for a quote? Give us a call at 780-467-3038 or use our contact form. Want to learn more about picture framing? Take our What’s in a Frame seminar. In this casual (and fun!) seminar you’ll gain a deeper understanding of the craftsmanship behind picture framing, and learn the answers to frequently asked questions.